The Ring Brothers have become legendary for their custom car builds, creating some of the most incredible Pro-Touring vehicles on the planet including several Ford Mustangs. 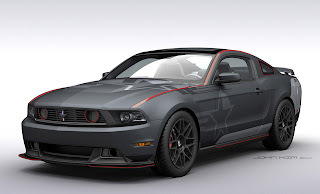 That’s why we were excited to learn that the Wisconsin-based company were going to debut a 2013 Mustang at this year’s SEMA show. While our expectations were certainly high, the Ring Brothers didn’t disappoint with their “Switchback” Mustang. In true Ring Brothers style the exterior of the car has been slathered in tastefully done carbon fiber and billet aluminum, and there’s plenty of cool features like a center-mounted exhaust and the spare tire mounted in a billet mount in place of the rear seat. There’s also a ProCharger supercharger system under the hood and custom-upholstered Recaro seats inside. 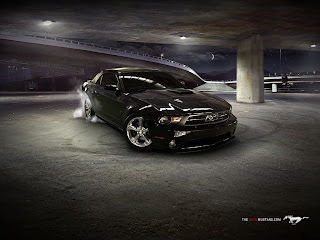 This entry was written by by MustangsDaily (Mustangs Daily) and posted here on Friday, November 2nd, 2012 at 1:17 pm and is filed under News, ring brothers, ring brothers 2013 mustang, ring brothers 2013 mustang switchback, ring brothers ford mustang, ring brothers mustang, ring brothers switchback mustang, sema 2012. This article was not written by us, rather gathered using RSS feeds listed here. We take no credit for this article. You can leave a response, or trackback from your own site.